Hello readers! I am very excited to finally share this post about the Korea Burn. Generally when I write I just dive right in, but for some reason I was not sure where to start when writing this entry. 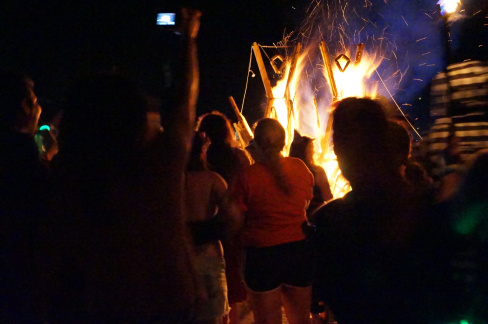 Going to a burn is a profound experience, and it can be somewhat daunting when trying to explain it to someone who as never attended. 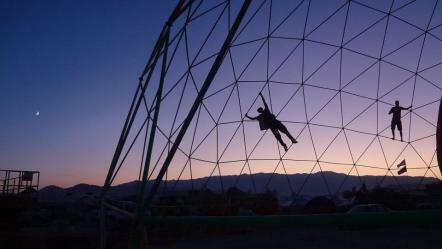 Even when I first heard of Burning Man, I was not sure how to comprehend it or know what to expect. It is one of those things you just need to experience. Right before leaving for Korea I attended Alchemy, the Georgia regional burn. After attending Korea Burn, I felt like I had come full circle. It had been exactly a year since Alchemy, and since then I have made some astounding transformations in my life. I wanted to make sure to not write this piece to seem as the burn was just a party on the beach for foreigners. 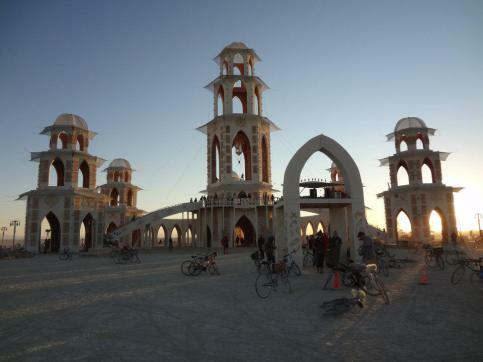 So in order to accomplish that I want to share some of the history of burning man and share with my readers what burn culture is all about. Burning Man was started in 1986 when some friends met together on Baker Beach, in San Francisco to celebrate the summer solstice. 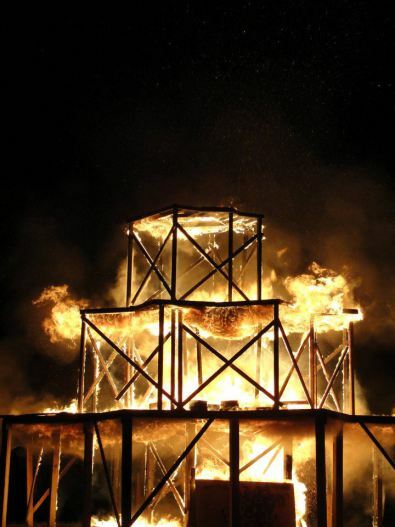 The group of friends built a wooden man which was about 9ft tall and burned it as an act of “radical self-expression”. In 1987 the man grew to be about 15ft tall, and then the following year it was around 40ft! 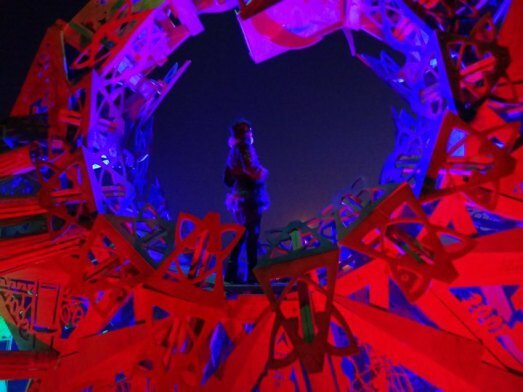 Each year the event grew in size, and now over 50,000 attendees gather in Black Rock City, Nevada for the Burning Man festival. 1.Radical Inclusion– anyone can participate. There are no strangers or requirements to attend. All types of people are welcomed and encouraged to participate. 2.Gifting — Everyone who attends is expected to give without any expectations to receive anything in return. There is no value attributed to a gift. A gift can simply be teaching a skill, sharing a drink, setting up a theme camp, or giving people a smile and a hug. Also when receiving a gift, one should accept graciously and not attempt to make it a trade of any kind. 3.Decommodification –no commercial sponsorships or money transactions are allowed. 4.Radical Self-Reliance — Participants are expected to bring in what they need, as well as bring something to share. Participants must come prepared. 5.Radical Self-Expression — this is probably one of my favorite of the 10 principles. Participants are encouraged to wear costumes and express themselves through any artistic fashion they choose. 6.Communal Effort– participants are expected to help others in need and to look after one another. 7.Civic Responsibility — participants are responsible to act in accordance to local, state, and federal laws. 8.Leave No Trace — participants are expected to pack up EVERYTHING they bring with them. The objective is to leave the place nicer than you found it originally. 9.Participation — To me this is the most fundamental of all the principles. Participants should come to the burn with an open mind. Transformative change only occurs through intrinsic and cognitive participation. We should focus on the art of being in the present moment and embracing each breath we take. 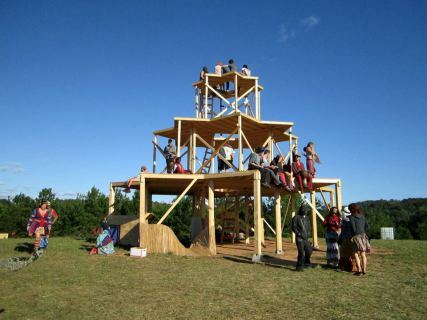 Everyone is invited to participate whether it be work or play. We can create a beautiful wonderful world by only being open and willing to participate. 10.Immediacy — to have an “Immediate experience” means overcoming barriers that stand between the recognition or our inner selves, the reality of those around us, our active role in society, and contact with the natural world. Burners should strive for awareness and recognition of deeper spiritual realms. 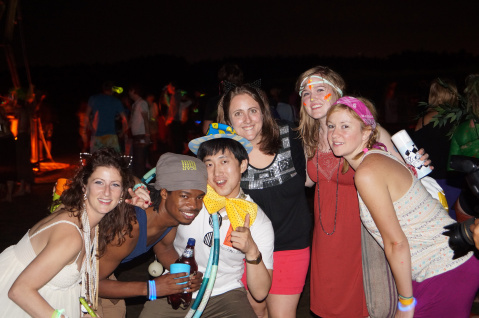 I attended my first burn (Alchemy) right before I left for Korea. It was supposed to be my last hurrah before leaving the country. I had always heard a burn could be a spiritual experience, so I figured it would be the best way to fill my soul with positive energy before embarking on my journey abroad. 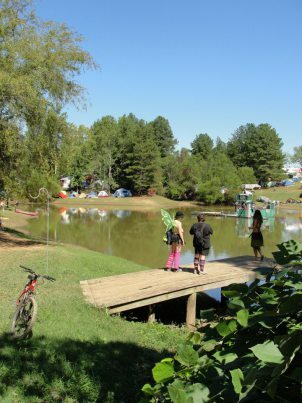 Alchemy was held in the hills of north Georgia, right outside of Atlanta. As soon as we arrived greeters embraced us with warm smiles and hugs and told us, “Welcome Home.” The vibe was amazing. Everyone was so colorful in their costumes, and you could feel love beaming from each individual. No one seemed like strangers, but instead it felt like seeing long lost friends or family members. As we drove into the festival site, the hills were covered in various themed campsites. I had no idea how much people put into making this such a spectacular event. There were bars set up that provided food and drinks to over 3000 people over the course of the 4 days.There was a giant blow up igloo, and inside the entire floor was covered with beanbags, while light specialists and DJ’s collaborated to create an ultimate sensory experience and relaxation zone. Even though we were there for three days, it was impossible to visit every campsite. 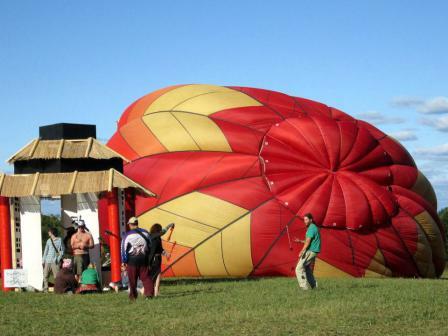 In the center of the festival was the large wooden structure referred to as “The Effigy”. This is what would be burned the last night of the festival. Before the “burn” people could climb and sit on the effigy. My friends and I just sat there for hours talking to people as they would come and go. We met people from all over the country, and even all over the world! It was amazing how a burn could bring people from so many backgrounds together to this beautiful place. The best part of the festival is when the effigy gets burned down . The first thing that happens is a parade of fire spinners does a collaborative performance around the effigy. Then fire work specialists put on the best firework show I have ever seen in my life.I really can’t fit words to describe how spectacular it was. Trust me, it was better than any 4th of July or Disney World show. As soon as the firework finale ends, the effigy is instantly engulfed in flames. As the cheers emerge from the crowd, you just can’t help but feel connected with everyone around you. Everyone embraces one another with hugs and smiles, and just celebrates being aware of this moment in existence. When I heard that there was going to be a Korea Burn, I almost could not believe it. As with all the awesome things I have found in Korea, I also found this event through facebook. 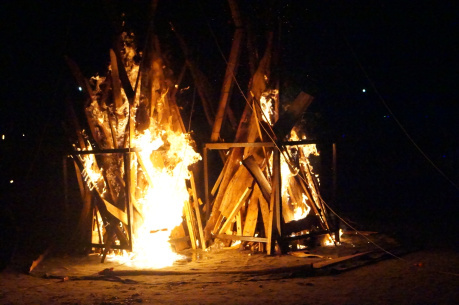 At first, the burn was supposed to be held at Muuido Island, but so many people were interested in attending that it was moved to Gijipo Beach. 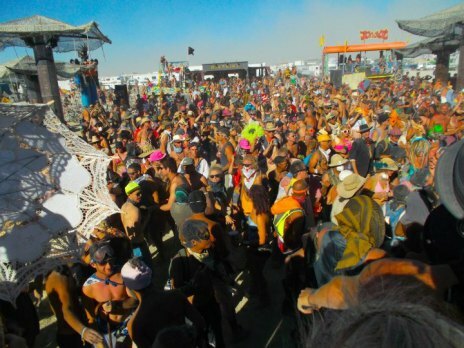 Last year Katlyn (one of the years burn organizers) held a small gathering called the “Man on Fire,” which was a gathering for Korean people and foreigners to share in the burning man culture. Originally the producers of the event expected this year’s gathering to only be about 100 people, but over 1,000 people requested invitations!! In a short amount of time (about 2 months) the organizers were able to find a new location and set up everything possible to make this event happen. They did an amazing job and put in a ton of hard work to make this possible. I was fortunate enough to meet some of these wonderful organizers at Inner Trip festival, and was even able to play a small role in planning for the burn. I wish I could have been more involved, but it was still really awesome to see everything happen behind the scenes. Generally burns charge admission in order to cover costs of medics, bathrooms, property rental, and other essential parts of the festival. What made the Korea burn so special, is they did not charge admission, but instead only relied on the support of the community to come together and donate. At first there were some dilemmas getting the donations organized, but as the event came closer, more and more people pitched in, and they were able to reach their goal. 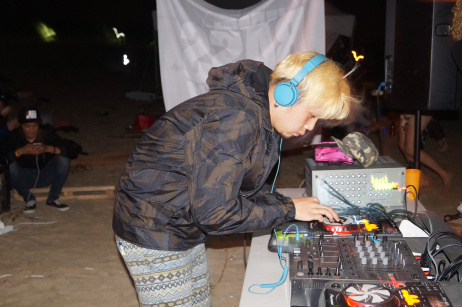 Because the event was in Korea, many people had never attended an actual burn, but that did not limit the creativity of the campsites. Even though this was a much smaller festival than Alchemy, the Korea burn stayed true to the principles. 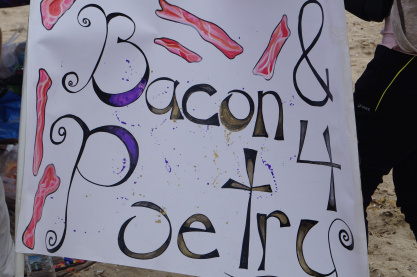 There was a DJ tent that played until dawn, a camp that gave out bacon if you read them a poem, a cuddle area to relax, a flow arts camp that taught flow and hula hooping, yoga lessons on the beach, body painting, and many other amazing theme camps. Foreigners in Korea come from all over the world, so it contributed to an amazing international atmosphere. Again, the highlight was gathering with everyone on the beach to watch the man burn down. Originally I was supposed to be one of the fire dancers in the fire conclave, but due to to unfortunate circumstances with traffic and our rental car, I was not able to participate. Though I was bummed about not being able to spin fire, it was easily forgotten when I was surrounded by all the love and positive energy around me. One of the most special parts was being able to share this experience with some new friends I have made in Korea. I went to the burn with my friend Laura, Beyong-Jun, and Jun. 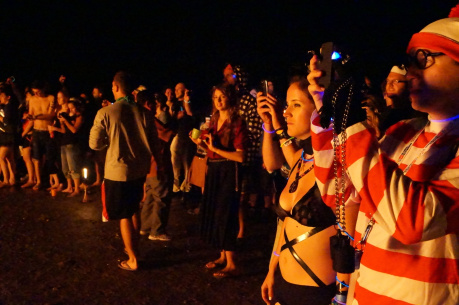 None of them had ever been to a burn before, so it was special introducing them to this culture. Laura and I spent the car ride decorating t-shirts for the boys to wear with their costumes. Our theme was The Protection Patrol and we made sure to carry around sunscreen, bug spray, and of course condoms in case anyone needed protection. I titled this blog “Coming Full Circle” because the Korea burn almost marks my one year here. Attending this festival really played a symbolic role in how much has changed over the course of this year. It seems like yesterday that I was at Alchemy talking with Suzie and Emily about how scared I was to make this move, but how I just knew it would be the right choice. Boy was I right about that! It has been the best decision I have ever made, and I am so grateful for this opportunity. Something beyond me was drawing me to explore the world, and it has led to the best chapter in my life so far. I have learned so many things about myself in this past year. I have met so many amazing people from all over the world. In addition to these fantastic experiences, I am also in the best health I have been in years. Life moves fast here, so I am glad the Korea burn gave me the opportunity to reflect about everything that has happened since I left the states. I am excited to continue this journey and see what else is to come . . .